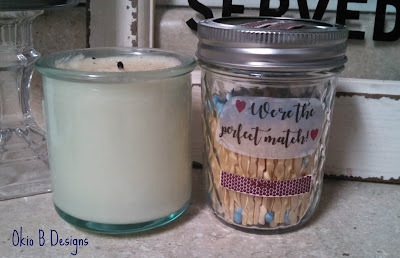 Today I'm sharing a quick Valentine's Day project I whipped up over the weekend. 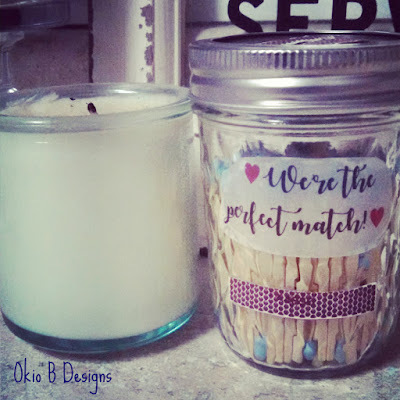 All you need is a Mason jar, stick matches, match strike strips (or whatever you call them!) and some clear label paper. Start by choosing a font for your label paper. I used my fave - Autumn in November from DaFont. In Word, simply add your text to a document. The hearts can be found in symbols (in Word). I made mine red, but you can make them any color. I printed out my text in a few different sizes (onto the clear label paper) because I wasn't sure what size would fit my jar. Simply cut, peel and stick. You may have to work out some air bubbles. Next, add your stick matches to the jar. Using matchboxes I got from the Dollar Store, I simply cut the match strips off and used Glue Dots to add them to the front of the jar. I added two more on the top of the lid for good measure. Done and done! 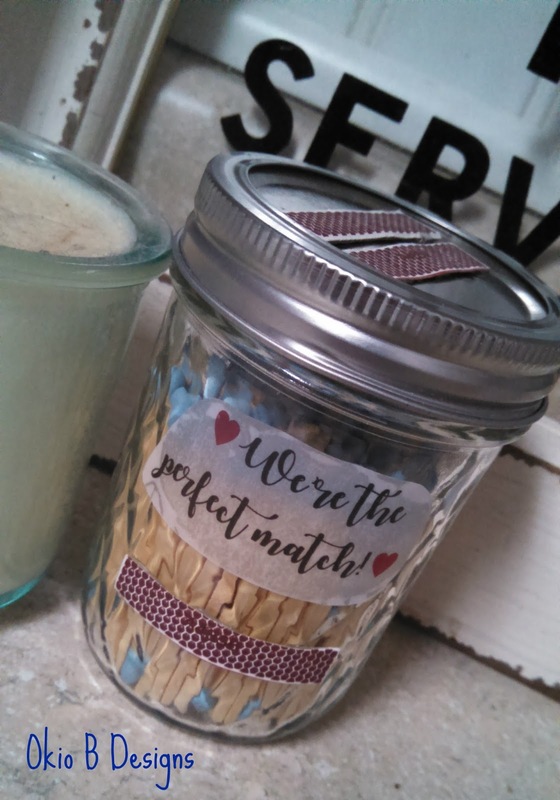 How's that for a sweet gift for your Valentine? !